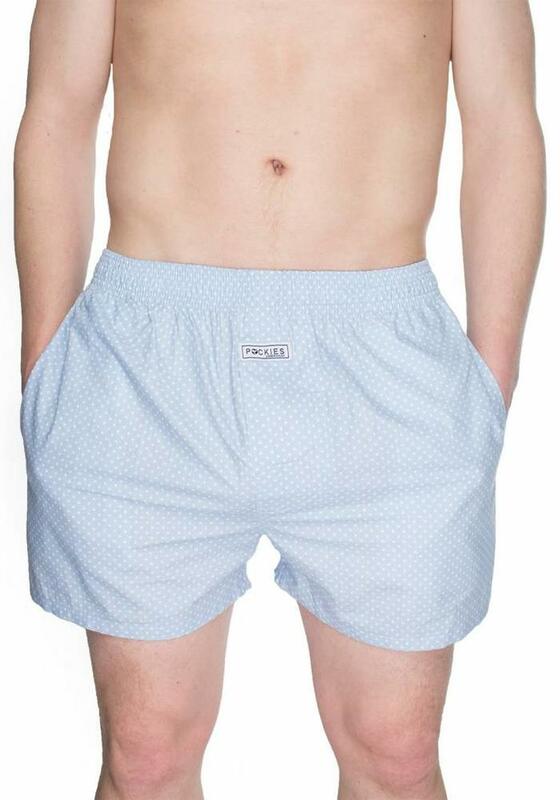 Light blue boxer shorts with dot print from Pockies Underwear. 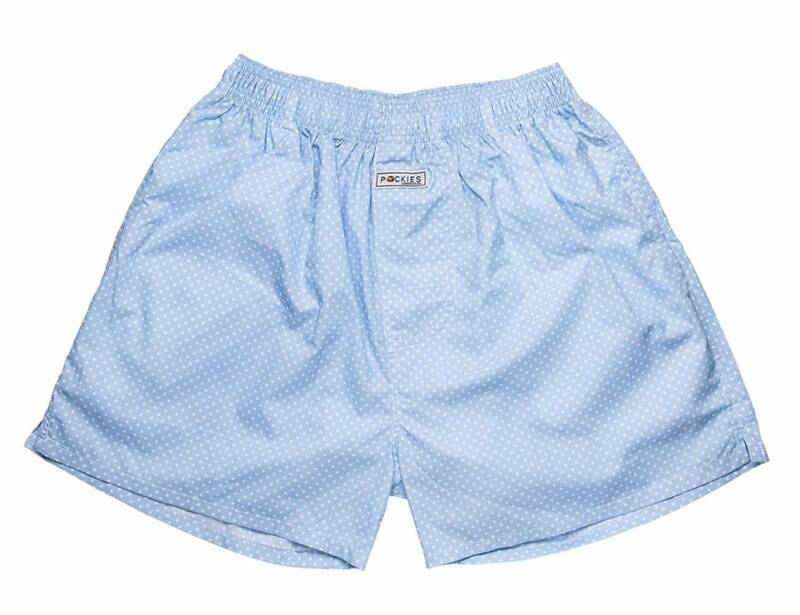 The boxer shorts from Pockies Underwear are distinguished by a number of USPs. The fit is wide and if you lift your leg not everything falls out. They look good, but the most important is: pockets! These boxers have pockets, so you can stash all your secret stuff in here! Or with lack of trousers with pockets (like running gear) your phone or keys. Or your passport when on abroad! The possibilities are endless. The boxers from Pockies Underwear are delivered in a nice gift box.